The monotony of life is tiring, isn’t it? Why not plane a perfect budget friendly get away with Justwravel? Keep reading on to know the best places around Pune which you can approach to escape all that daily traffic and pollution. Here’s a state-wise list of some of the off-beat places that you can visit to treat yourself with some relaxing and soothing experience. The wonderful city of Nasik is located at the foothills of Western Ghats and on the banks of river Godavari which originates from Triambakeshwar dham located nearby. One of the places worth visiting here is Panchvati. It houses the Kumbh mela every 12 years. Other places to visit are Ramkund, Muktidham, Kalaram temple, Triambakeshwar, Deolali etc. There are also a few forts like, Ramsej fort, Harihar fort and Tringalwadi fort. Also recently Igatpuri city of Nasik district is gaining a lot of tourist attraction due to its serene environment and scenic beauty. Nasik is located at a distance of 210 km from Pune and the best time to visit is during the winter months. Aurangabad is one of the ideal destinations for road trip. Aurangabad is also known as ‘The city of Gates’ and the strong presence of these can be felt as one drives through the city. It is also the Tourism capital of Maharashtra. The world famous Ajanta and Ellora caves are 28 km from Aurangabad. Other places to visit around Aurangabad are Bibi ka Maqbara, Daulatabad fort, Aurangabad caves, Grishneshwar temple, Salim Ali lake & bird sanctuary, Tomb of Aurangzeb and 52 gateways in and around the city. Aurangabad is located 236 km from Pune. The best time to visit is around March during the Ajanta and Ellora festivals. Malegaon is located at the confluence of Mausam and Girna rivers. Malegaon is a major cloth weaving hub and also the second largest city of Nasik. The places of interest in Malegaon are Malegaon fort, Noori tower, Tipu sultan tower, Panch Kandil. Malegaon is 278 km from Pune and the best time to visit is in the month of December. 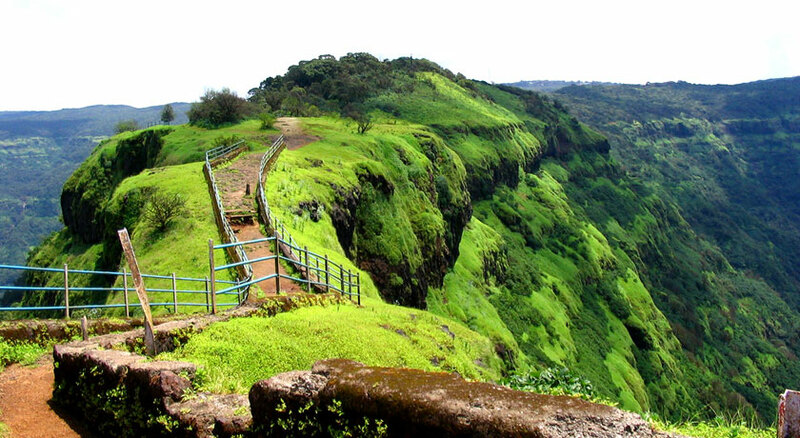 Khandala is one of the most preferred destinations for both avid and inexperienced trekkers. One of the treasure places in Khandala is the Duke’s nose. The peak, also called as Naagphani, rises to a height of approximately 1000ft and is a haven for rappelling and rock climbing lovers. Other places to visit in Khandala are Tiger’s leap point, Amrutanjan point, Bhushi lake, Karla and Bhaja cave. The distance between Pune and Khandala is 69 km. Monsoon is the best time to visit Khandala. Mahabaleshwar is one of the best getaways from Mumbai or Pune located 121 km from Pune. The places to visit in Mahabaleshwar are Veena lake, Arthur point, 3 monkey point, Krishnabai temple, Pratapgadh fort, Lingmala falls and various view points. Also, 7 km from Mahabaleshwar is the old Mahabaleshwar. Apart from that, just a little ahead of the crowded Mahabaleshwar, lies a place that is called the ‘Mini Kashmir of the Western Ghats’- Tapola. 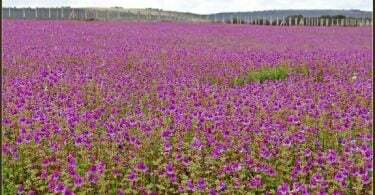 The best time to visit Mahabaleshwar is from February to April. Valsad, also known as Bulsar, lies at the coastal area of the Indian state of Gujarat, 331 km from Pune. Some of the places to visit in Valsad are, Tithal beach, Swaminarayan Temple, Shri Sai Baba temple, Wilson hill, Parnera hill, Shantidham Jain temple, Lady Wilson museum, Kalai beach, Udvada beach and Vansda national park. The best time to visit Valsad is from October to March. The capital city of Gujarat, Gandhinagar is located at a distance of 684 km from Pune. Divided in sectors, and planned by one of the finest architects this city has many places to spend some quiet moments with friends and family. Some must visit places in Gandhinagar are Sant Sarovar dam, Indroda park, Aranya van, Thol bird Sanctuary, Mahatma mandir. The dancing fountain show at the Akshardham temple of Gandhinagar is a not-to-be-missed experience. The best time to visit is from October to March. This beautiful port city of Surat is famous for its fabric market and diamond cutting centres. Besides this, the Surat castle is a major attraction. Also, the dumas beach is quite near to Surat. This beach is famous for its black sand and the spooky stories related to it. Other places to visit are, Sardar Patel Museum, Chintamani Jain Temple, Dutch Gardens, Mugal Sarai and several other placid beach resorts. The distance of surat from Pune is 421 km and the best time to visit is from October to March. The royal city of Baroda is the cultural capital of Gujarat. Some of the places that depict the royalty of this city are the very famous, Laxmi vilas palace and Nazarbaug palace these palaces will flatter you with its pompous architecture, paintings, clothing and jewellery from the Gaekwad dynasty. The Karelibaug Park is a great place for children as well as elders to spend some time back in their childhood. The distance from Pune if 549 km and the best time to visit is from October to March. Ahmedabad has been declared India’s first world heritage city by UNESCO in 2017. This city is a perfect blend of tradition and modernity. Ahmedabad is India’s sixth largest city. It is also known as ‘Manchester of the East’. 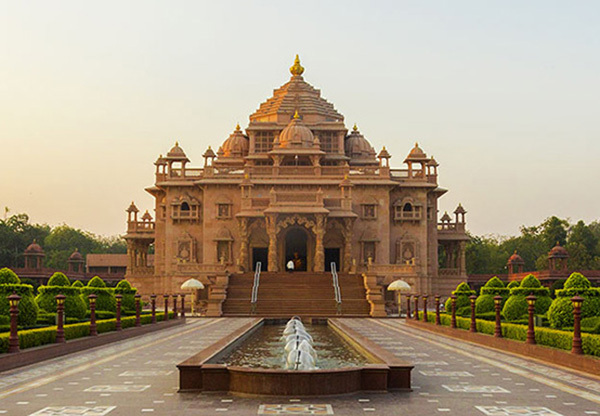 Some of the must visit places in Ahmedabad are Sabarmati Ashram, Sabarmati riverfront, Sarkhej roza, Kankaria lake, Hathee Singh Jain temple and Adalaj stepwell. The Thol Bird Sanctuary is also near to Ahmedabad and provides a feast to the bird watchers. Apart from that Ahmedabad has many food markets like, Manek chowk, Law garden, Food truck park etc. Also Ahmedabad is one of the most favourite shopping destination offering street fashion to big brands. Ahmedabad also has the very famous revolving restaurant ‘Patang‘. The city of Ahmedabad is 663 km from Pune. The best time to visit is October to March. With a history dating back to the 10th century AD, this imposing town of Mandu or Mandavgad is located in the heart of Madhya Pradesh. Some of the best places to visit in Mandu are the Rupmati’s Pavilion, Nil Kanth Palace, Jahaz Mahal and the lovely Asharfi Mahal. Mandu lies at a distance of 554 km from Pune. The best time to visit is from October to March. Ujjain is located on the banks of Kshipra river. It is at a distance of 664 km from Pune. The places to visit in Ujjain are Mahakaleshwar Jyotirlinga, Chamunda mata temple, ISKON temple, Kal bhairav temple and Mangalnath temple. Apart from the religious places, the Jantar mantar is also a place worth visiting to know the mysteries behind science rules that we have been following since childhood. The best time to visit is September to March. ‘The Paris of Nimar’ as it was known earlier, the town of Barwani is located at at a distance of 513 km from Pune. The name Badwani originated from the forests of BAD which had surrounded the city in old times. WANI is the old word for the Garden. Hence city got its name BADWANI which means Garden of Bads. It is best to visit in September to March. Dewas is derived from the Devi Vaishini hill in the city. The hill has a temple of deity Devi Tulja Bhawani, Chamunda Mata and Kalika Mata. 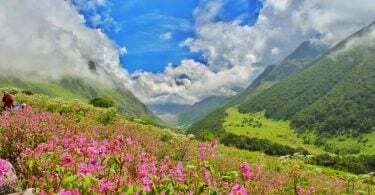 Some nearby places of interest include Pushpagiri tirth, Shri Manibhadra Veer Jain tirth, Kheoni wildlife Sanctuary, Kavadia Hills and Gidya Khoh. Dewas is located 645 km away from Pune. The best time to visit is October-March. The largest city in Madhya Pradesh, Indore, is located at a distance of 607 km from Pune. Indore is also famous for its wholesale markets and eCommerce websites. There are many markets in Indore of different genre. The 56 Dukan (known as Chappan dukan) is a very food market where all the foodies come from far and near. It offers a variety of dishes which are worth trying for all the foodaholics out there! The other places to visit are Rajwada Palace and Indore zoo. The best time to visit is from September to March. The land of 5 rivers, Bijapur is located 351 km away from Pune. Bijapur city is well known for its historical monuments of architectural importance built during the rule of the Adil Shahi dynasty. The most famous monument here is the tomb of Mohammed Adil Shah which is famously known as Gol Gumbaz. The other tourist places worth historical importance are, The Archaeological Museum, Ibrahim Rauza, King Edward VII Memorial, Upli Buruj, Chand Bawdi, Asar Mahal, Gagan Mahal, Jami Masjid and many more. The best time to visit is December to March. Hubli is the second largest city of Karnataka and is located at a distance of 436 km from Pune. It is known as the cultural, educational and music capital of Karnataka. The places to visit in Hubli are, Chandramouleshwara Temple, Shri Siddharoodha Math, Moorusavir Math, Navagraha Jain Temple, Nrupatunga betta and Unkal Lake. Pattadakal is renowned as World Heritage site by UNESCO. It is located at a distance of 467 km from Pune. The places of tourist attraction are, Jain Narayana Temple, Virupaksha Temple, Sangameshwara Temple, Chandrashekhara Temple, Mallikarjuna Temple, Kashi Vishwanatha Temple, Galaganatha Temple, Kadasiddheshwara and Jambulingeshwara temples, Jambulinga temple, Kadasiddheshwara temple and Papanatha temple. The tradition and culture of Pattadakal village is not only depicted through its temples but can also be seen in its festivals, namely the Banashankari Temple Festival, Virupaksha Temple Car Festival, the Mallikarjuna Temple Festival and the annual dance festival Chalukya Utsava. These festivals are held between January to April. The best time to visit is from December to March. Badami is located at a distance of 455 km from Pune. It is famous for its rock cut structural temples. The places to visit in Badami are, The Badami fort, Buddhist cave, an archeological museum and a series of four cave temples build during the Chalukya Dynasty. The four cave temples represent the secular nature of the rulers then, with tolerance and a religious following that inclines towards Hinduism, Buddhism and Jainism. 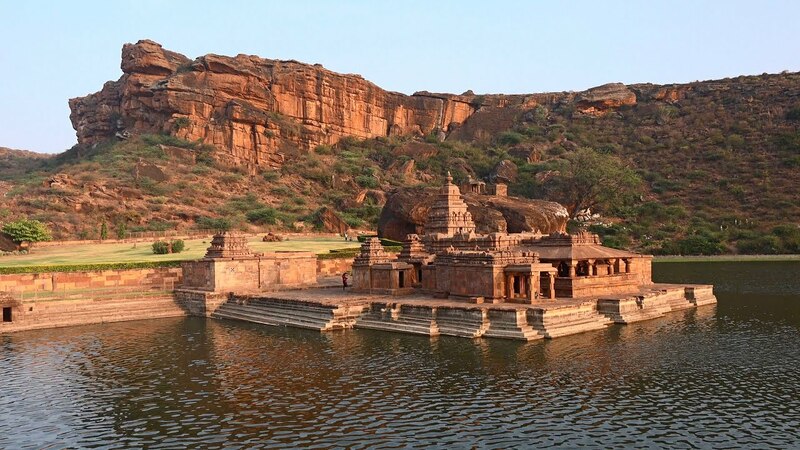 The best time to visit Badami is from December to March. The district of Raichur, located between Krishna and Tungabhadra rivers is 550 km away from Pune. The Raichur fort is famous for its Persian and Arabian stone inscriptions. Raichur is one of the best tourist places in South India. Mahalaxami temple is also located near to Raichur. Sri Sugureshwara Temple located about 18 km from Raichur is situated at the banks of Krishna River. The name City of Nizams- Nizamabad, is located at a distance of 565 km from Pune. Dichpally Ramalayam temple of Nizamabad is called as Khajuraho of Telangana. Along with that, Khilla Ramalayam is one of the oldest temples in Nizamabad, dedicated to Lord Rama. Other places of tourist attraction are Nizamabad fort, Ali Sagar and Ashok sagar gardens and Badapahad Dargah. The best time to visit is April-June. 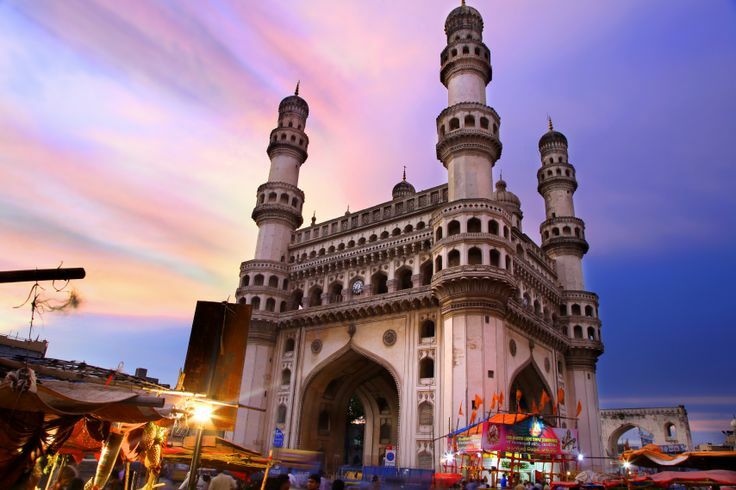 Hyderabad, the city of Pearls, is located at a distance of 593 km from Pune. It is the capital city of Telangana. This city provides a variety of places to visit. For the movie lovers, the Ramoji film city is a place which cannot be skipped. For the foodies, the very famous Hyderabadi Biryani is a must try. For the religious ones there are temples such as the Birla temple, Chilkur balaji temple and the Jagannath temple. Besides these, other places worth visiting are, The Charminar, Hussain Sagar Lake, Nehru Zoological Park etc. The best time to visit is from November to February. Mahabubnagar means the city of beloved. It is also believed that the Kohinoor and Golconda diamonds were mined from here. This city is surrounded by Nallamala forest and also home to Mallela Theertham waterfall and Pillalamarri Temple. Pillala Marri is one of the oldest banyan tree in India and a major tourist attraction in Telangana. The distance from Pune is 564 km and the best time to visit is October to March. This twin city of Hyderabad is located at a distance of 595 km from Pune. The two twins, Hyderabad and Secunderabad are separated by the Hussain Sagar Lake. The places worth visiting in Secunderabad are Golconda fort, Birla Planetarium, Trimulgherry fort, All Saints’ Church, Saidanimba tomb and Konaseema. Visiting the lighthouse located in the mangrove forest, near Konaseema, while cruising in the waters is a must-must have experience. The best time to visit is during the winter months. The city of Nalgonda is situated between two hills, 691 km away from Pune. The Kulpakji Jain temple of Kolanupaka in Nalgonda district is one of the most popular Jain temples in India. The temple houses statues of Rishabhanatha, Neminatha and Lord Mahavira. Along with that, the Bhongir fort is one of the India’s past heritage structure, known for its magnificent pieces of architecture. 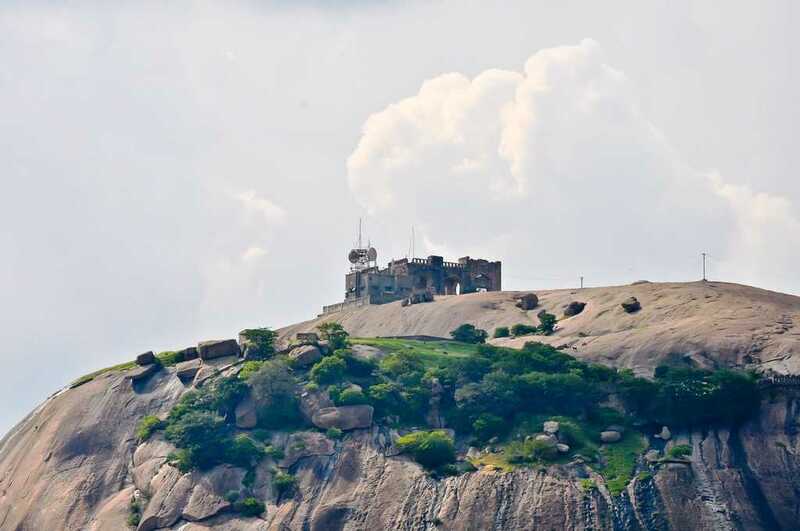 Bhongir fort stands top on a monolithic rock at a height of around 500 feet and spread across an impressive area of 50 acres. The best time to visit is October-January. 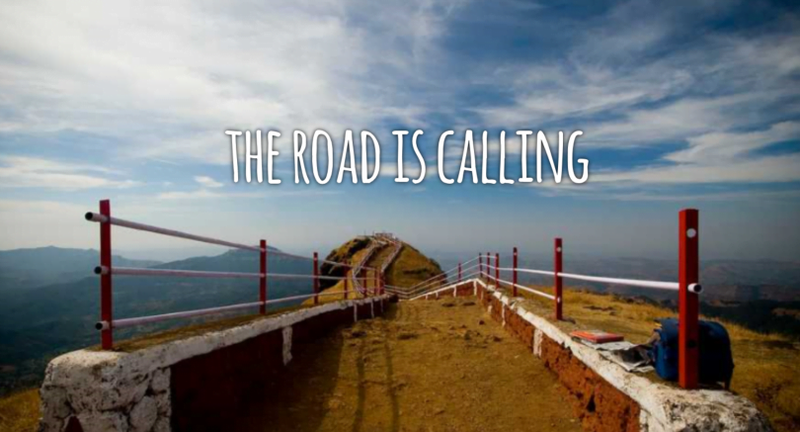 For more information you can also visit road trips from Pune and plan your perfect vacation with us. An Electrical Engineer by profession, Pranjali has a nerve for travelling, philosophy, reading, fashion and blogging. She loves travelling and making new friends.